University of Tartu Debating Club | OLE ROHKEM.OLE ROHKEM. University of Tartu Debating Club unites young people who wish to speak about important topics and, furthermore, speak of them well. How do you speak well about something? It means you have the courage to say what you think and, moreover, others don’t misunderstand you. This is why we at the debating club teach you how to use these three ultra-secret weapons: the powers of analysing, public speaking and argumentation. The far most important one of these three is argumentation or the skill to substantiate your claims. This will help you in pretty much every field of life, be it writing projects or essays, giving speeches or just conscious media consumption! Furthermore, debating will give you the abilities and courage to speak in front of large crowds. Holding a speech or expressing your opinions will not feel like the end of the world anymore. You can join us throughout the academic year and the process is really simple. Just come to our meetings which take place twice a week (once in English and once in Estonian) and see debating in action! I first came to contact with debating in March 2014 during the Open Doors Day of Tartu University, when I happened to listen to a public debate, organised by the Debating club. There wasn’t a debating club in my high school and I’ve heard the word ‘debating’ itself only a few times, never paying much attention to it. In the public debate, teams consisted of young student members of the club, alumni and professors. Witnessing a debate for the first time was an interesting experience, maybe even a bit unfamiliar. Firstly, the format of the debate needs some getting used to – teams are competing to demonstrate themselves as better at arguing. For example, in the long jump it is easy to emasure who jumped farther using a measuring tape, but how does one decide which argument is better than others? I believe that what was most inviting to me about debating was acquiring the skill of clearly and intelligently expressing mu thoughts and notions to others. I was also compelled by the confidernce and bravery the debaters gave off when they explained their arguments to the crowd. Public speaking has always made me quite insecure. Six moths later, as a freshman in the Tartu University, I, too, joined the debate club. This move has expanded my friends list in Facebook by about fifty people. 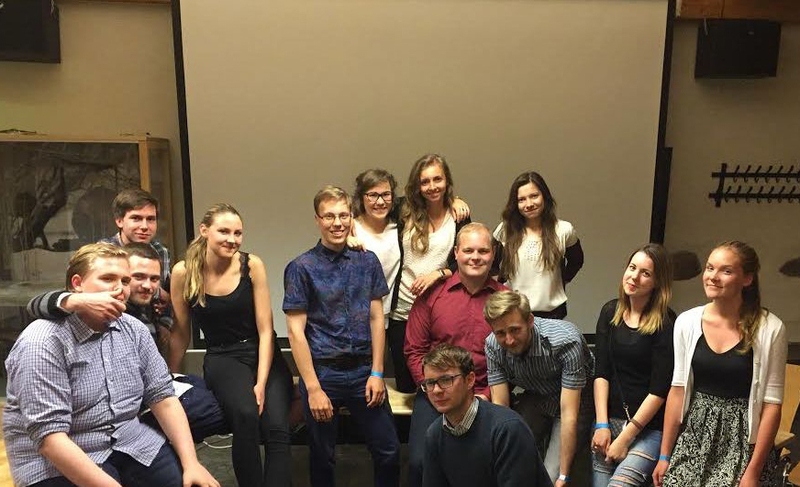 I have taken part in several competitions and other exciting pasttimes, like the summer camp of the Estonian Debating Society. But most importantly, after two terms of debating I feel that my world view has widened remarkably and I am able to contribute to discussions on yet greater amount of topics wuithout being left in shame. Debating has given me the ability to analyse and always see things from another angle. I still have a long way to go to being as eloquent and well-argued as the debaters I saw in the Open Doors Day, but I am definitely on my way there. If you wish to have an idea about what we are doing, then just come to a meeting and see for yourself. We often hold public debates, too, which are often organised in cooperation with other organisations. To see when the next one will happen, just take a look at our Facebook page or our website.